Courtesy of Hass & John Real Estate, HASARANGA RATNAYAKE. Looking for a move in ready home? Look no further!!! This All American home has many (OWNER) upgraded features. As you enter through the NEW!!! front door you are welcomed by the openness that this home has to offer. Features from NEW!!! Granite Countertops (March 2019), NEW!!! Recessed lighting in the living room & hallway (March 2019), NEW!!! Flooring all throughout the house (tile in the kitchen & master bathroom, wood laminate in living room, hallway, family room, & carpet in the bedrooms all were done in March 2019), NEW!!! Vinyl fencing in the backyard (April 2019) wood dog ear fencing along the side of the house (March 2019), NEW!!! Interior paint (March 2019), Newer dual pane windows & HVAC were done in (2004). Need a place to park your boat & toys? This home has plenty of parking for toys, boats, & extra vehicles with its large driveway. Have an RV? there is potential RV parking on the right side of the house behind the wooden fence. This is your chance to own an All American home that is upgraded for your family to live in & accommodating for your outdoor lifestyle. 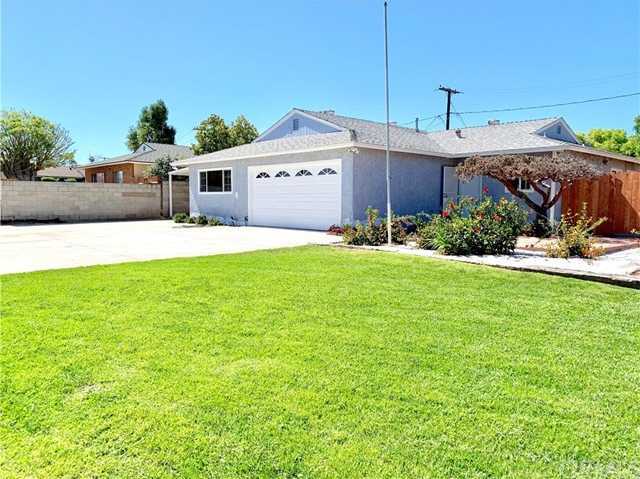 Please, send me more information on this property: MLS# IV19084223 – $399,999 – 3586 Wilbur Street, Riverside, CA 92503. I would like to schedule a private showing for this property: MLS# IV19084223 – $399,999 – 3586 Wilbur Street, Riverside, CA 92503.